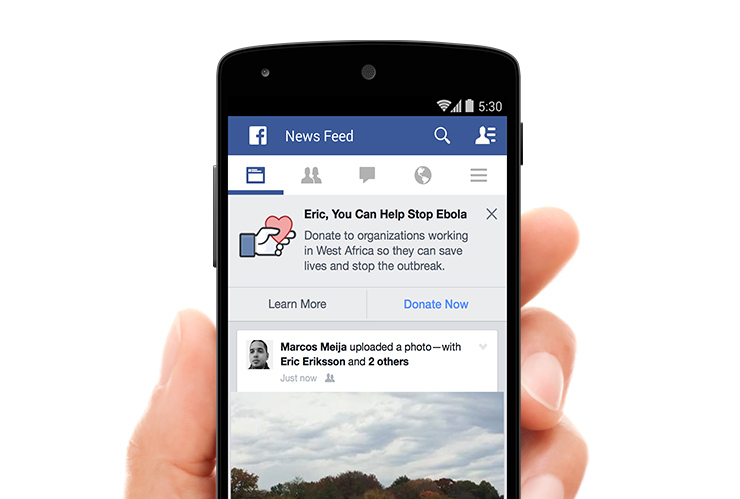 Facebook’s 1.3 Billion users will see a prompt in their newsfeed on both Desktop and Mobile, encouraging them to donate to various international charities to help fight the Ebola virus. Facebook announced the update on their news section, and we have already seen CEO Mark Zuckerberg donate $25 Million USD of his own money. Now he want his billion + users to help out too. In addition to just the donate option, Facebook is making it easier for users to find information about Ebola and also provide emergency communication services to people in the affected regions. It will be interesting to see if any other technology companies harness the power of their audience to help fight this deadly disease.